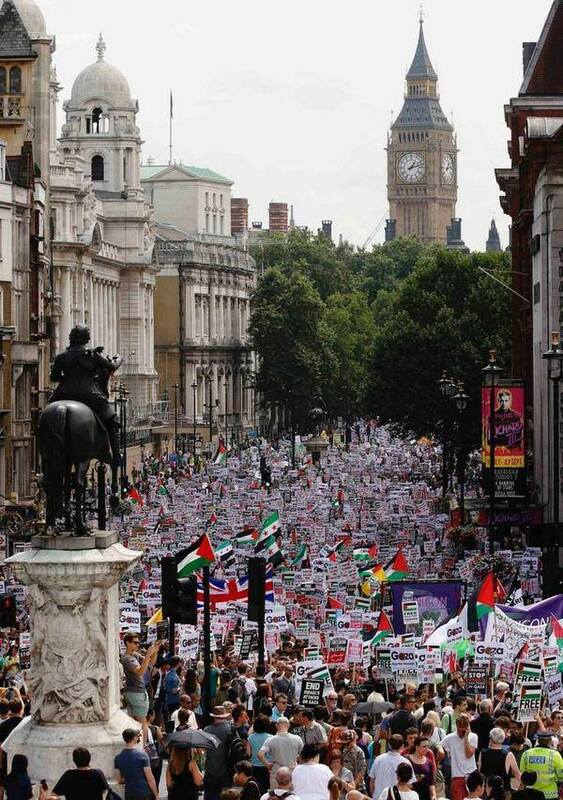 Tens of Thousands Gather In London to Protest Against Israeli Military Action. Protests for Peace in Palestine are happening all around the Globe. So beautiful to see. The tide is definitely turning.